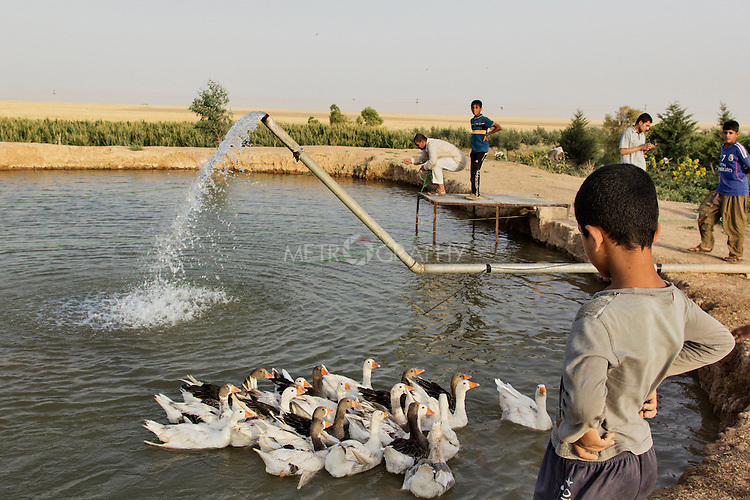 04/07/2015 -- Dibaga-Makhmur-, Iraq -- An aquaculture, where IDPs from Jaralah village can farm fish to sell in Dibaga. The aquaculture belongs to the owner of the farm who has given it to the IDPs to look after. In return they sell the fish and earn some money for it.